We throw lots of parties at The Coffee House. 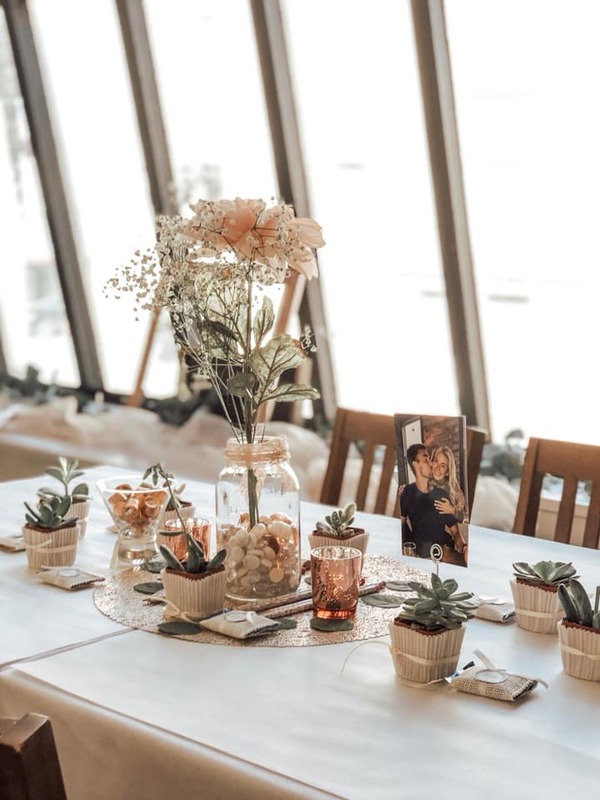 We’re happy to help you plan your Bridal Shower, Baby Shower, Class Reunion, Rehearsal Dinner, Surprise Birthday Party, or whatever you may be looking to celebrate! 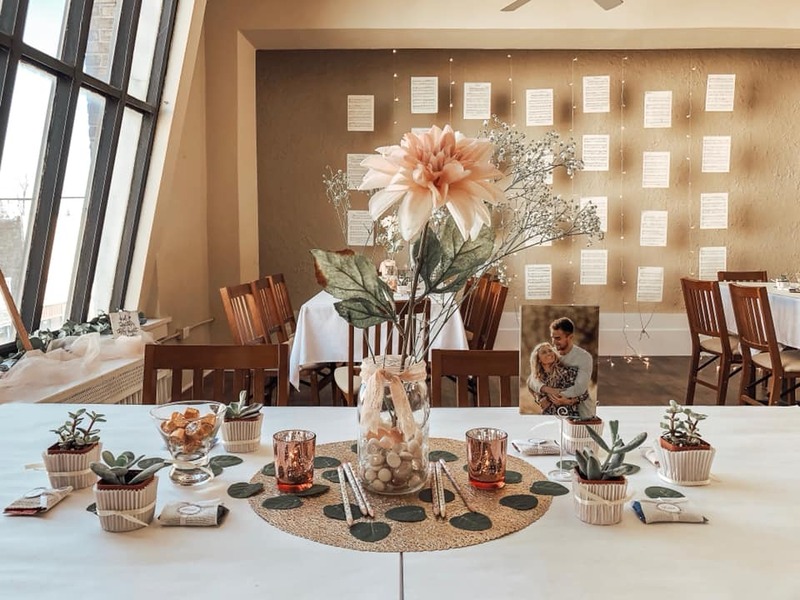 Our beautiful "Window Room" is our main entertaining space with lots of historic character to add the perfect backdrop to your event. We recommend a maximum of 40 guests for the space, but please contact us if there are more in your party to see if we can accommodate. 1. Can I bring in outside food? We do not allowed any outside food for our events. If you would like to bring in a cake, that is okay with us. But you should check out the desserts from our BAKERY! 2. What do you provide for the events? 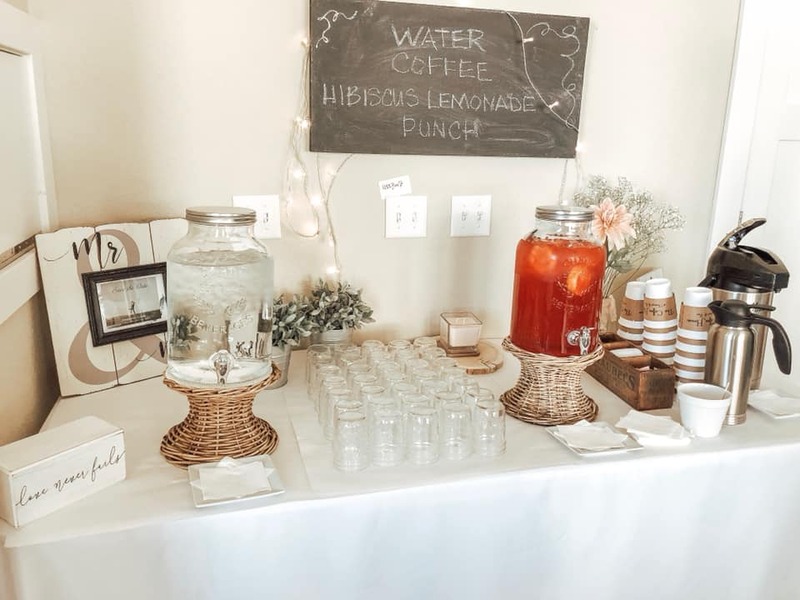 We provide the catering for the event along with tables, chairs, white china, silverware, napkins, glassware, and white linen tablecloths. Of course! 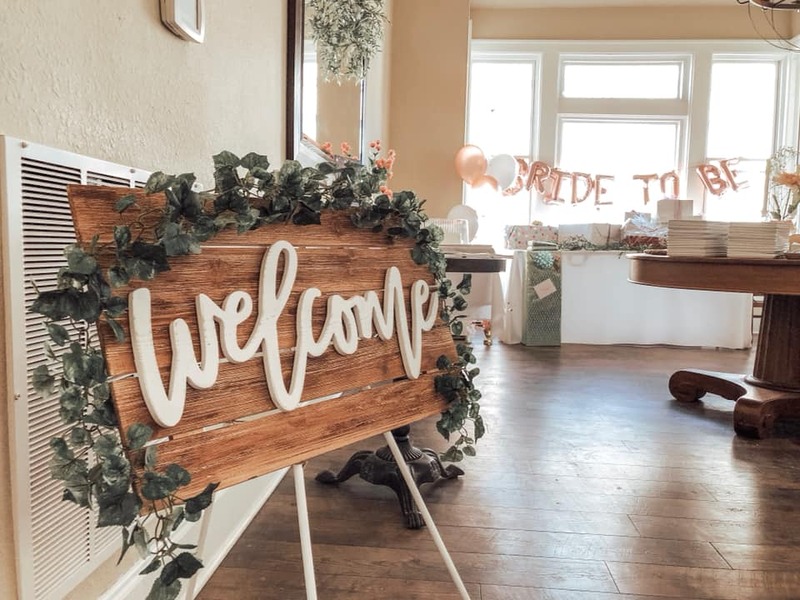 You are most welcome to bring in tabletop decorations, and any themed decor, gift bags, etc. We just ask that you not adhere anything to our walls that might affect the paint. Plus, we have an elevator so you can park in our back alley and easily load in any items that you need to bring up for the party. 4. Do you require a deposit? Yes, we ask that you pay the room fee in advance, this will hold the room for you! 5. When do you need our food and beverage order in? 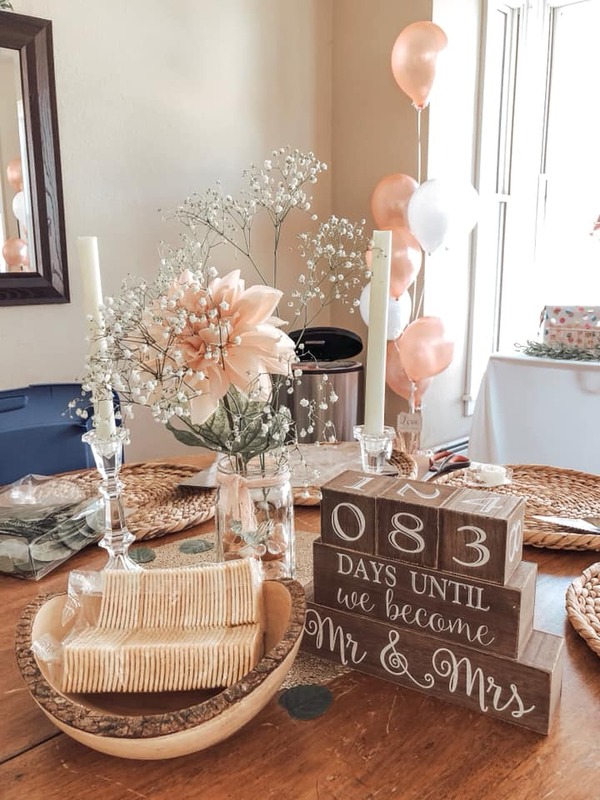 We ask that you confirm your order and amount of guests 10 days prior to the event. 6. Is there anyway to play some background music for our event? Yes! You are able to hook up a phone or tablet device to our speaker system that we have for the space, just requires a headphone jack. We also have Spotify available for you to play whatever you would like. 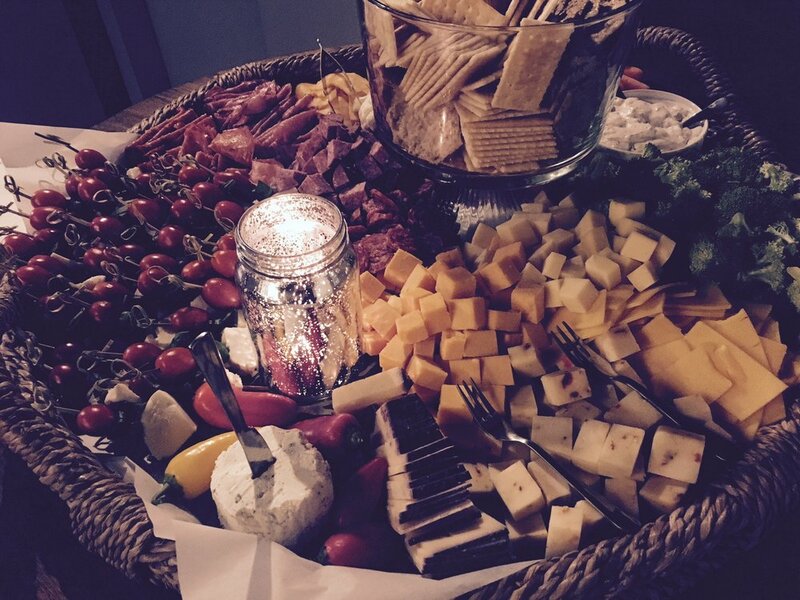 Email carly@burlingtoncoffeehouse.com for catering menus and pricing!